We’re celebrating ShopSmallSaturday on November 26th!! As a small business that is going on twelve years of being open, we have to reflect on all that it took to get here. All the late nights, the trial and error, the courage to put the open sign out front and the loyalty of our clients to walk through the door. 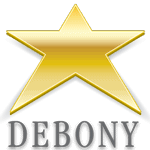 We appreciate all of our clients who have taken the leap of faith with Debony Salon and helped make us into the successful small business we are now. We’re honored to join the ranks of other local businesses throughout Jackson Village and the Mt. Washington Valley who go to work everyday fueled by the love they have for their craft and sharing it with their community. As we approach the holidays and Black Friday especially, we want to make a special commitment to our fellow small business owners and clients who support them by encouraging you to spend your Saturday after Thanksgiving shopping with Mt. Washington Valley’s vibrant small business community. American Express is also backing this commitment by offering special rewards programs for their American Express card-holders when they shop with small businesses. You can find a list of Mt. Washington Valley small businesses registered with American Express’s Small Business movement, here. In addition to Small Business Saturday, Debony Salon wants to personally invite you to join us for Holidaze, here at the salon. This is our way of saying “thank you” to YOU – the most important part of this business. We want to thank you for your support over the last decade and more, by offering complimentary mini services to you as well as a special gift card incentive, raffle and festive refreshments and snacks. To book your complimentary mini-service, click here. You can also enjoy this discount on gift certificates purchased online, here. Multiple MoroccanOil, Jane Iredale and Aveda raffles when you spend $100 in one product line. **One service per person, free with a pre-booked service. A $20.00 charge for stand-alone services will be waived for $20.00 in retail purchases. We hope to see you in Debony Salon, to enjoy one of these complimentary services as well as on Small Business Saturday on November 26th. Your the reason small businesses stay strong and feed our vibrant community of artisans and shop owners and we just want to say “thank you” for believing in us. The Annual Small Business Saturday! Join Us for Beauty School 101 – Jane Iredale Night!